The wait is finally over! 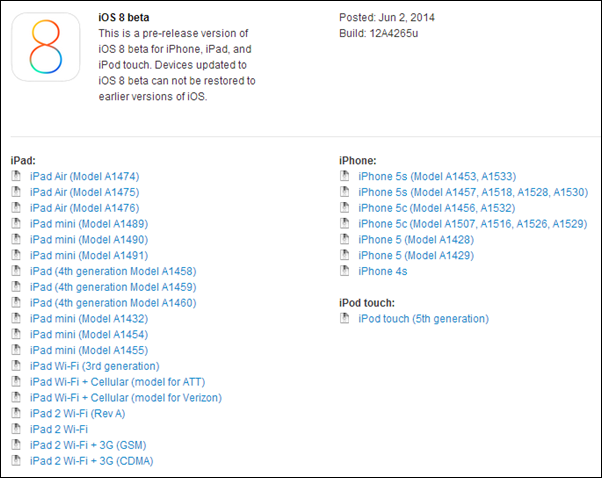 iOS 8 beta 1 download links are now live on Apple’s Dev Center. 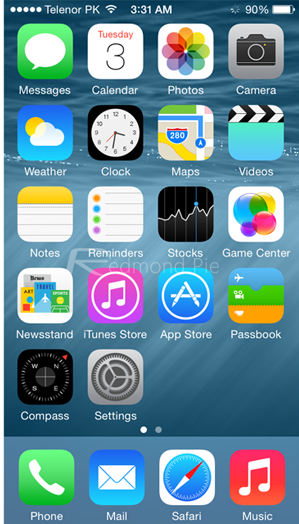 Earlier today in the opening keynote at WWDC, Apple unveiled iOS 8 to the world for the first time. iOS 8 is a huge update for both users and developers alike, with tons of new stuff now core part of the OS, such as quick reply, predictive keyboard, HealthKit and HomeKit APIs, support for third party keyboards like Swype, widgets, Camera and Touch ID API and a hell a lot more. For more information on all the new iOS 8’s features, check out: iOS 8 Announced: Features, Compatibility, Release Date [Everything You Need To Know]. 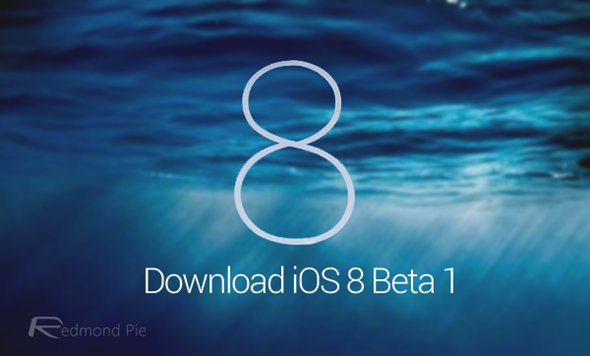 It is important to note that iOS 8 beta 1 is only compatible with: iPhone 5s, iPhone 5c, iPhone 5, iPhone 4S, iPad Air, Retina iPad mini, iPad mini 1, iPad 4, iPad 3, iPad 2 and iPod touch 5. iPhone 4 is not supported. You can find more on iOS 8 compatibility here. You will also need to have your device’s UDID registered on the member’s portal in order to install the beta.